Today I am telling you everything you need to know about the Parisian metro! If you fully want to enjoy the city of Paris, you need to know how to get from A to B. 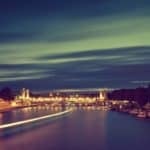 You need to know how to get around the city and thanks to this article it will be a lot easier and stress-free for you! In the next paragraphs, I will be giving answers about the main issues one may find while in Paris and traveling around the city through the metro. 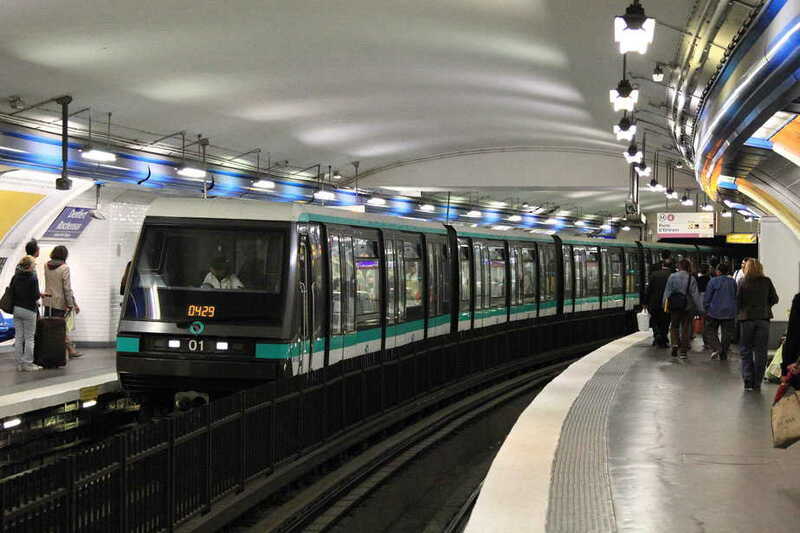 Some say the Parisian metro is one of the easiest in the world, some say it is the worst! When in Paris you will get to experience it on your own and make your own opinion about the Parisian metro. 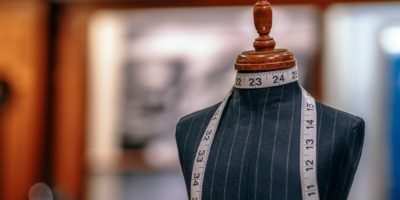 But, for sure, you will understand how it works after reading this article and it will turn out to be a lot simpler than expected! 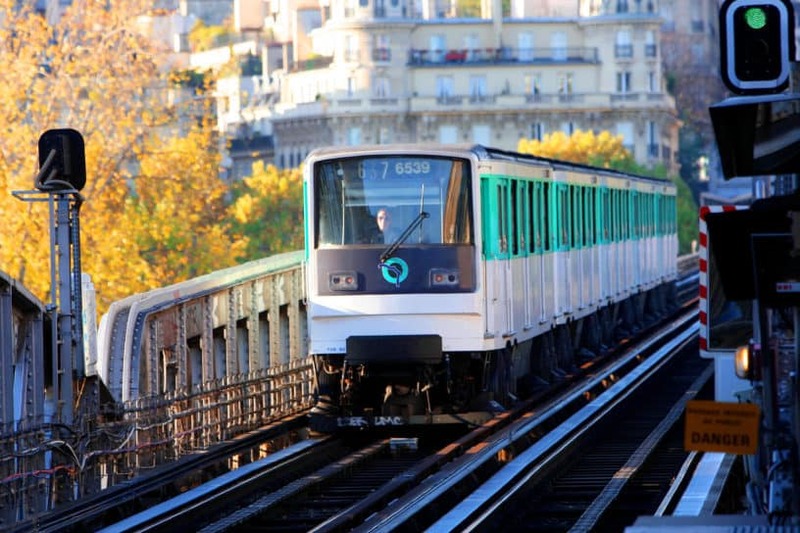 Read on and find out everything you need to know about the Parisian metro! The Parisian metro counts with sixteen metro lines that allow to travel back and forth through the city and visit all its greatest neighborhoods. In addition to the whole city of Paris, the metro can also take you to some of the nearest suburban cities of Paris. The Parisian metro and RER lines basically serve the Île de France, which is the region one refers to when talking about Paris and its surburban cities. And you should also know that Île de France is divided into five zones. For instance, the Disneyland theme park and the Charles de Gaulles airport are located in the fifth zone. The Orly airport, the Versailles Palace are in the fourth zone. The further you go, the more money you spend. If you take a look at the metro map and look closely to the metro stations, you will quickly figure which lines are the most important and the ones you will regularly travel in during your stay. In my opinion, the most imporant metro lines are the line 1 that goes through the Marais neighborhood, the first district, the Louvre Museum, the Champs-Elysées, and the Arc of Triumph. Then, there’s also the line 6 that will take you to the Eiffel Tower and the Montparnasse Tower. You also have the line 4 that will also get you to the first district, the City Island where the Notre Dame Cathedral and the Sainte Chapelle are, and the Latin Quarter. The line 12 goes through the Montmartre neighborhood and the Orsay Museum. 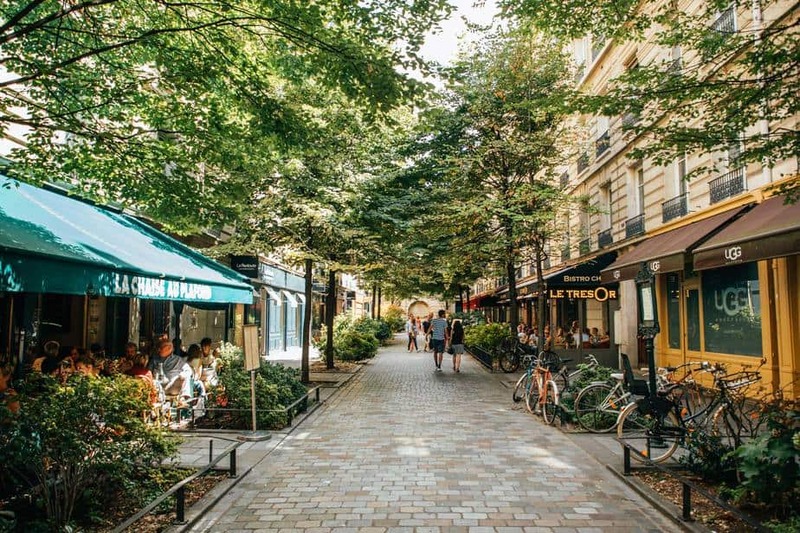 The first district and the Marais area are the perfect neighborhoods to stay in during your trip, because they are close to all the greatest landmarks so you can actually walk from one to another without taking the metro. However, I strongly advise to take the metro a few times if you want to live the Parisian experience to the fullest. If you’re wondering how to take the metro, it is quite simple! You first need to buy your ticket or your travel pass. You can buy it with a staff member or in a vending machine. Do not forget that you need to KEEP your ticket until you exit the Parisian metro network. Also, one ticket is enough for the whole metro trip. Once you’ve bought your ticket and decided your travel destination, have a look at the map and check which line you take you to your station. After you’ve validated your ticket through one of the ticket gates, follow the arrows that indicate the line colour you’ve picked and its directions of travel. For instance, imagine you are at the Hôtel de Ville metro station and you want to go to the Tuileries garden. You have to take the line 1 and to get to the Tuileries metro station, you need to go take the direction of travel towards La Défense metro station. Each line has two directions of travel, so you only need to see which directions will get you to the desired station. 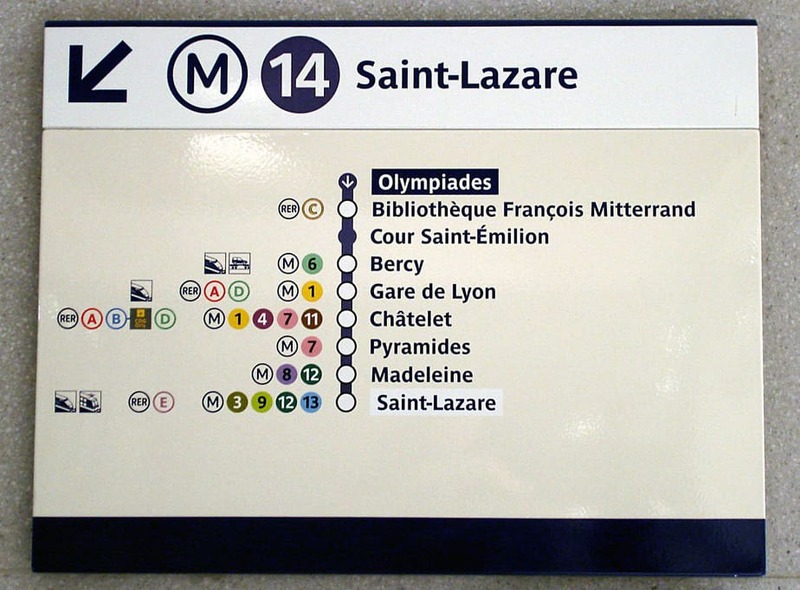 The metro stops at each station, unless there is work in progress at a specific station. Some metro trains will open their doors automatically, but in others you might have to push a button or lift a latch. The Paris Visite travel pass: This travel pass is the most suitable if you don’t plan on walking a lot. This pass allows you to travel anywhere in Paris, as long as it is in the zones 1 to 3. You can use all of the public transport networks: the metro, tramway, bus, RER and SNCF Transilien networks. 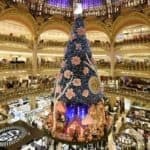 And you also have some offers and discounts for the RATP partners, such as 25% off the entrance fee to the Arc of Triumph. If you want to have an idea of the prices, here is an example: If you’re staying in Paris for three days and want to freely travel back and forth and use all kinds of public transports, it will cost you 26.65 euros for an adult and 13.30 euros for a child. But this pass only works from the zone 1 to 3. 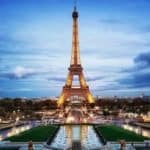 If you want to be able to travel the Ile-de-France, it will cost you 53.75 euros for an adult and 26.85 euros for a child. 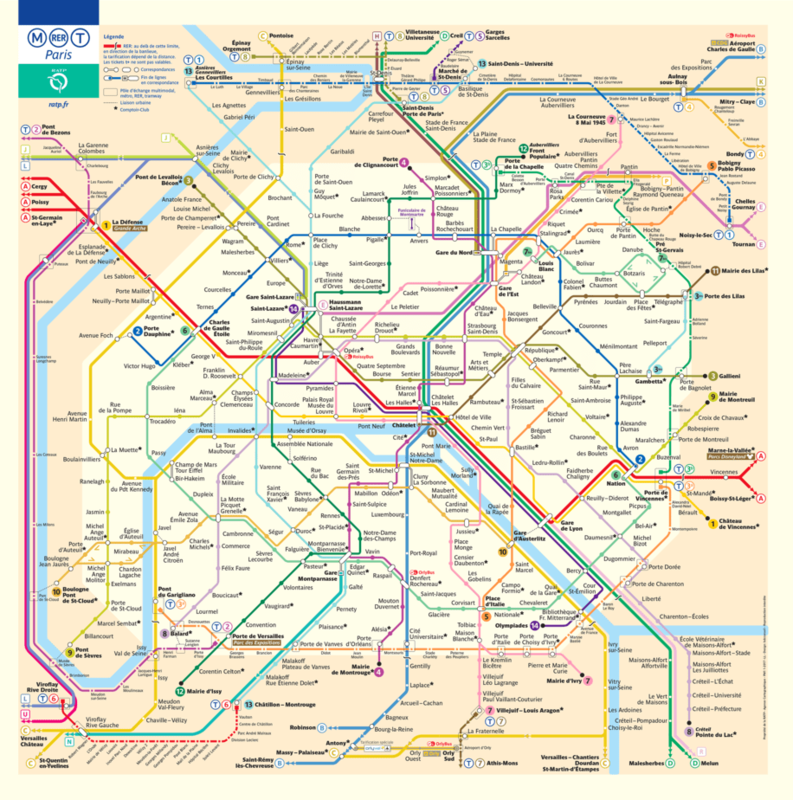 The t+ ticket: This ticket is perfect if you mostly plan on walking and travel Paris on foot. It is sold per unit. It is made for you if you want to make single one-way trips in Paris. The single tickets costs 1.90 euros and pack of ten 14.90 euros. Some people can benefit reduced fare tickets, like children for instance. You need to ask one of the staff members if you are eligible for the reduced price tickets. Ile-de-France tickets: You will probably use this type of tickets at least once. For example, at the end of your stay, to get back to the airport. 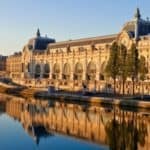 To get to the airports, to the theme parks or even Versailles, you will have to buy an Ile-de-France ticket. 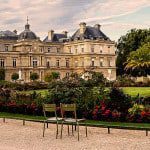 Unless, you opted for the Paris Visite travel pass that allow you to travel Ile-de-France. In this case, it will be included in your pass. You now have an idea of what are your options. 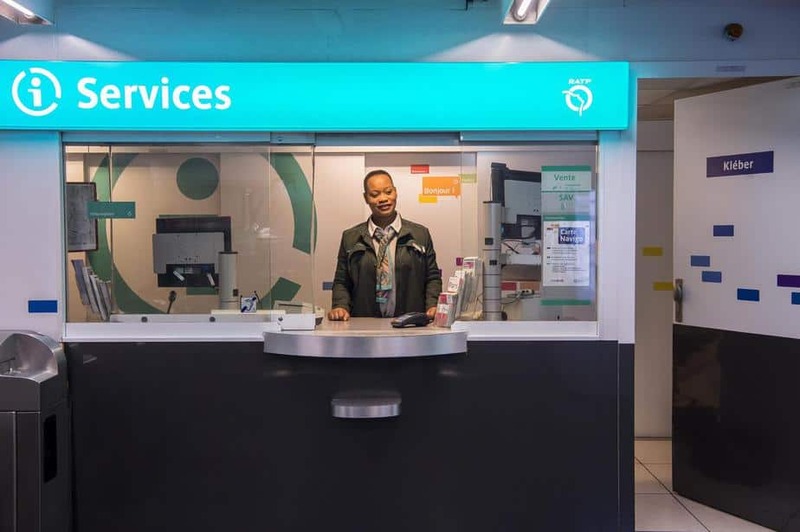 However, if you have some doubts or if you wonder if there are any other options, talk to one of the metro staff members. They will help you choose the right method to travel the city of Paris. 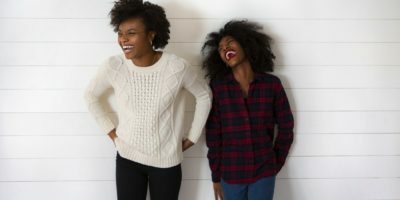 To end this article, I want to give a few tips for the metro first-timers. First of all, when you take the escalator, always stand in the right side, because the left side is for the people who are in a hurry. Then, be aware of thieves. Do not take your valuable items out your bag, this could draw the attention of pickpockets. So, if you have a backpack, wear it in the front while you’re in the metro. Also, once you get to your station, don’t panic. In some stations, you will see that there are plenty of different exits to the street level. If you get out at the wrong one, this is not a problem! 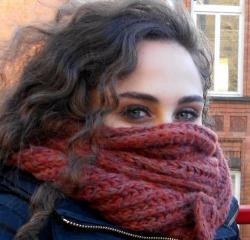 Many Parisians have lived in the city for years and still have the same issue. Everything you need to know about the Parisian metro has now been revealed to you! 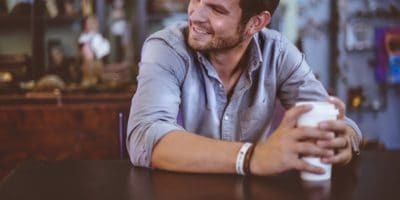 I hope you’ve enjoyed this article and that it has been useful! Don’t hesitate to contact us if you need further information about anything! Riding the metro is pretty simple but can sometimes be kind of confusing. If you follow my advices and calmly handle the situations without stressing out, you will love to take the Parisian metro!